Construction is expected to begin later this year on road improvements in the Carillon Office Park that were the catalyst for expansion by Raymond James Financial Inc.
Raymond James (NYSE: RJF), a financial services provider that’s already the largest private employer in St. Petersburg, will add 650 jobs in three newly acquired buildings in Carillon, after the city council and the Florida Department of Transportation agreed to the traffic updates. 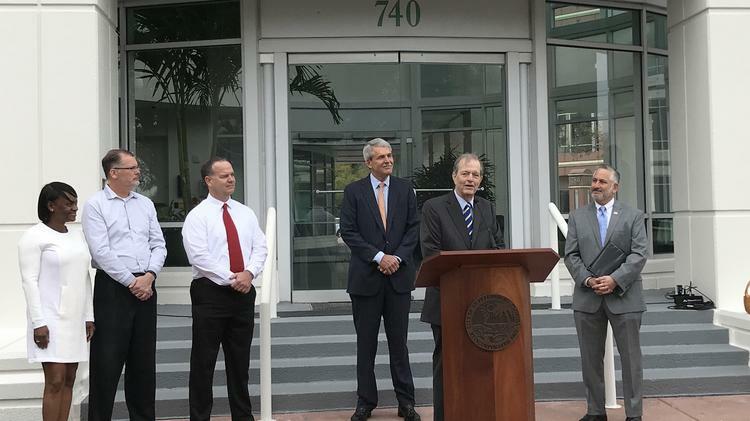 The company’s decision to expand was significantly influenced by the city’s and FDOT’s commitment to solve the Gateway area traffic concerns. 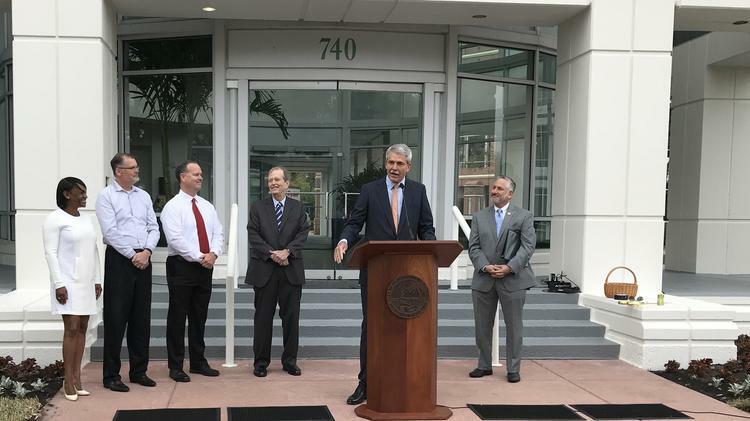 Raymond James’ subsidiaries acquired the buildings in December 2016, paying $24.85 million for each of 740 Carillon Parkway and 780 Carillon Parkway, and $27.2 million for 800 Carillon Parkway, according to Pinellas County property records. The company said it plans $10 million in improvements to the buildings. Raymond James previously had 880,000 square feet in four buildings it owned in Carillon, and added 325,000 square feet with the new buildings. It’s now at 1.2 million square feet on the Carillon campus and has grown from 3,900 employees on campus prior to the acquisitions to 4,400 currently, said Paul Reilly, chairman and CEO. 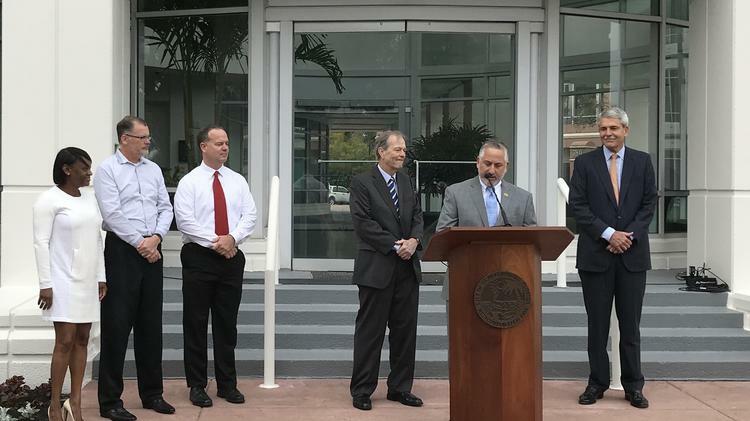 Design plans for the road improvements will be finished this spring and construction is expected to begin this year, said Mayor Rick Kriseman. It will include improvements to three major intersections. Overall vehicle delays at Roosevelt Boulevard and 28th Street are expected to drop by 50 percent in morning rush hour traffic, while right turn delays at the same intersection will be reduced by 89 percent, the city said. Through traffic delays will be cut by 64 percent, with significant delay reductions at Carillon Parkway and Lake Carillon drive, as well as moderate delay reductions at Carillon Parkway entering Ulmerton Road. Raymond James also requested a new driveway, giving the company direct access from one of their parking lots to the roadway without having to wind through the business park. FDOT has approved the new driveway in concept, Kriseman said. Raymond James bought 65 acres in Wiregrass Ranch in Pasco County in 2016, initially anticipating that would be the site of a second operations center. But Raymond James got a second operations center in Memphis, Tennessee when it bought another brokerage, Morgan Keegan, Reilly said. There are no definitive plans for the Pasco site, and the company is still evaluating uses, Reilly told Tampa Bay Business Journal.